On Tuesday night, The Pokémon Company released a tidal wave of information on new Pokémon games. I’d been waiting for this eagerly since some rumours had leaked earlier in the month, and I have to say that I am even more hyped than expected! Starting small, the Alolan form of Exeggutor has been added into Pokémon GO. This is somewhat surprising, as a week prior, Alolan forms were announced to be coming, but I didn’t expect them to be dropped in one at a time. Plus Exeggutor won’t answer my burning question of whether or not the candies I’ve stocked up for Kanto forms will work on Alolan forms. Guess we’ll just have to keep waiting to see how it all rolls out. Next up is the new freemium spin-off, Pokémon Quest for Switch (coming soon to your smartphone). It’s a game with delightful voxelly graphics where you let your Pokémon run around and beat up other Pokémon while gathering ingredients for cooking and crystals for powering up. It’s reminiscent of the Pokémon Rumble series, but a little more hands-off. I’ve already put in about an hour of play, and I can’t say whether it will hold me for long, but at least it doesn’t seem too bad about microtransations (yet). But I will take this opportunity to mention that I still play Pokémon Shuffle every single day, and I haven’t spend a single cent on it. The big news is that the first major Pokémon game for Switch is coming this November, and it’s the heavily rumoured Pokémon Let’s Go Pikachu and Eevee. I didn’t have a lot of confidence in it, based on some of the rumours that it would integrate elements of Pokémon GO, but now that I’ve watched the trailer about seventeen times, I cannot wait for it. 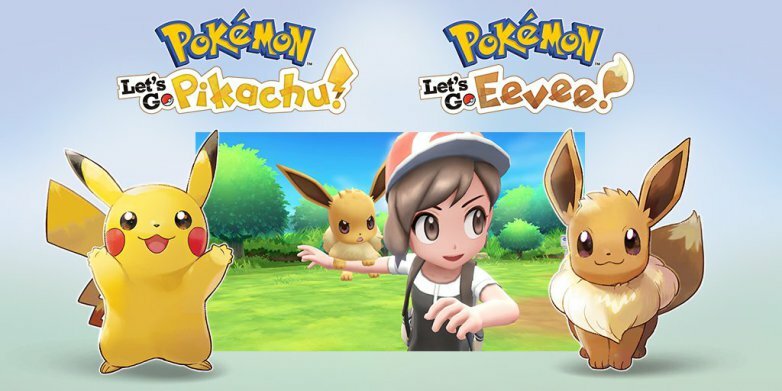 Pokémon Let’s Go is a sort of reimagining of Pokémon Yellow Version, which is already a huge win in my book. An HD remake of Kanto? Sing me up! But the gameplay is significantly different, sort of a halfway point between Pokémon GO and the traditional style. Most noticeably, random encounters are gone, and wild Pokémon battles aren’t battles at all: you just chuck balls at the Pokémon you run into and hope to capture them. But then trainer battles seem to boast the same battle system as usual, so that’s cool. I wasn’t sure how I felt about this at first, but in the end I think it’s a great change. Random encounters are annoying, and wild Pokémon battles are mostly just there for grinding, so I’m okay with them being trimmed down. The other massive part of this game is that it supports a ridiculous new peripheral: the Pokéball Plus. Not only does this thing somehow function as a controller, but you can also transfer a Pokémon into it and take it on a walk to earn experience, much like the Pokéwalker that came with Pokémon Heart Gold and Soul Silver. Unlike the Pokéwalker, this thing is a separate $60 purchase with a battery life of only three hours. I honestly love how goofy the Pokéball Plus is, but it’s way too expensive and inefficient/pointless for me to ever consider actually buying. So the end of the story is that we’re getting a full Pokémon game on Switch this year, even though it’s a little different than what most fans expected. I, personally, am 100% on board with it for now, at least until I hear about something that could be an actual deal-breaker. Besides, there was also a confirmation that a “real” Pokémon game for Switch is also in the works, and that it’ll be released next year. So even if Pokémon Let’s Go turns out to be a dud, at least we know that a more traditional Generation 8 is right around the corner.